Club Penguin releases a new newspaper every week and in each one there are details about future events or other cool news. Another week has rolled by and it's time for a new newspaper! The fair has started and Rookie is excited to show us the work he's done getting the fair set up. Next, Tourdude talks to us about tour guides for the party. 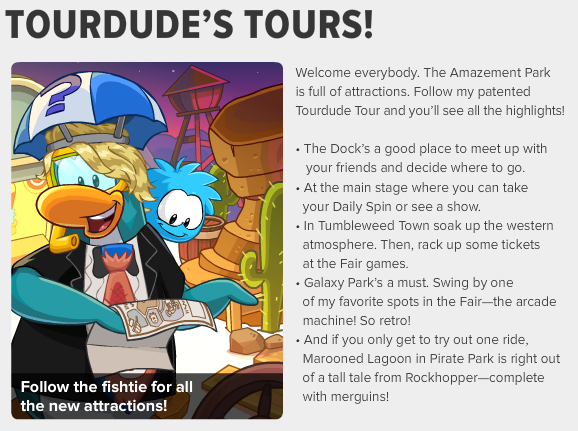 I guess Club Penguin needs many tour guides to show everyone all of the awesome things at the party. There must be a lot! 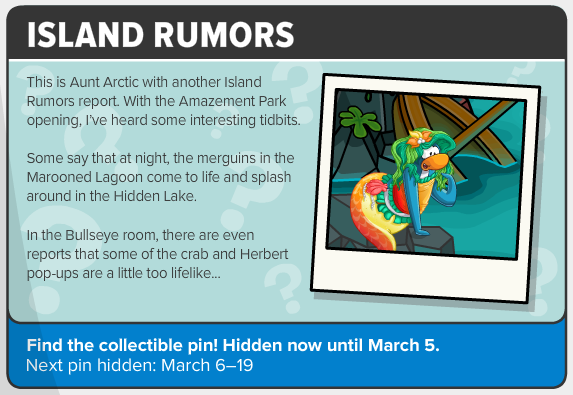 And lastly we have the Island Rumors section of the page. There have been reports of some merguins in the Marooned Lagoon during the nighttime. I wonder if that's true. 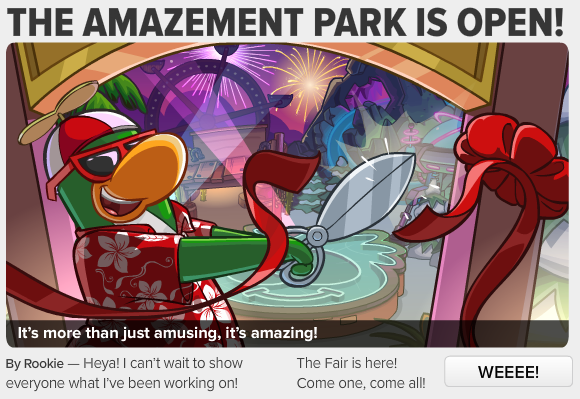 Also, some penguins are saying that Klutzy and Herbert may be at the Bullseye room!